ENROLL NOW$ 69.99 Start your course! 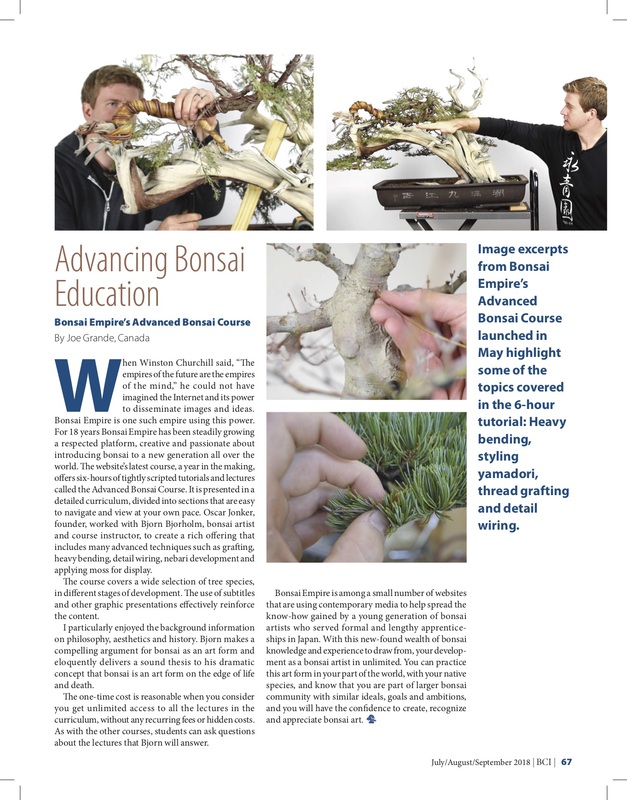 Gain unique access to the latest and most advanced Bonsai techniques! 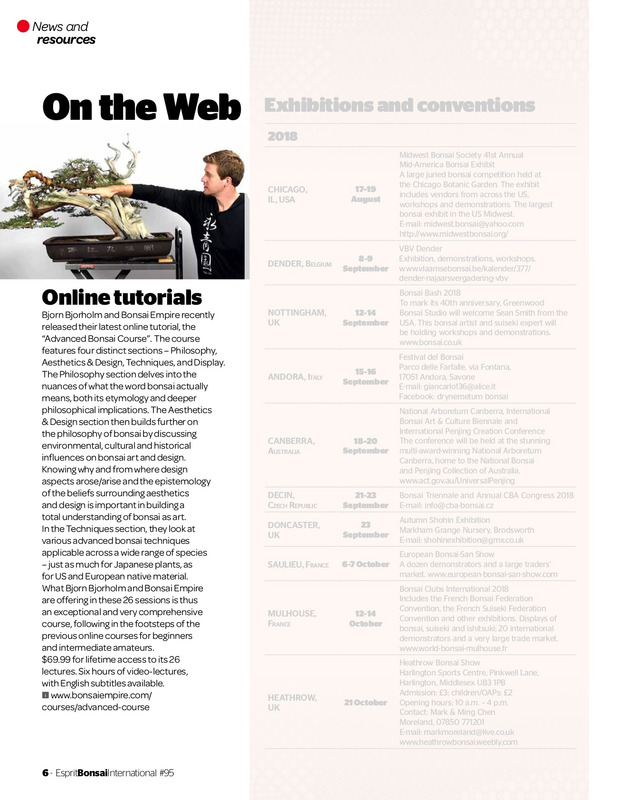 Introducing the Advanced Bonsai Course 1, an online tutorial offering unique access to the latest and most advanced Bonsai techniques. Instructor Bjorn Bjorholm guides you through the long-term impact of techniques on a wide variety of tree species. 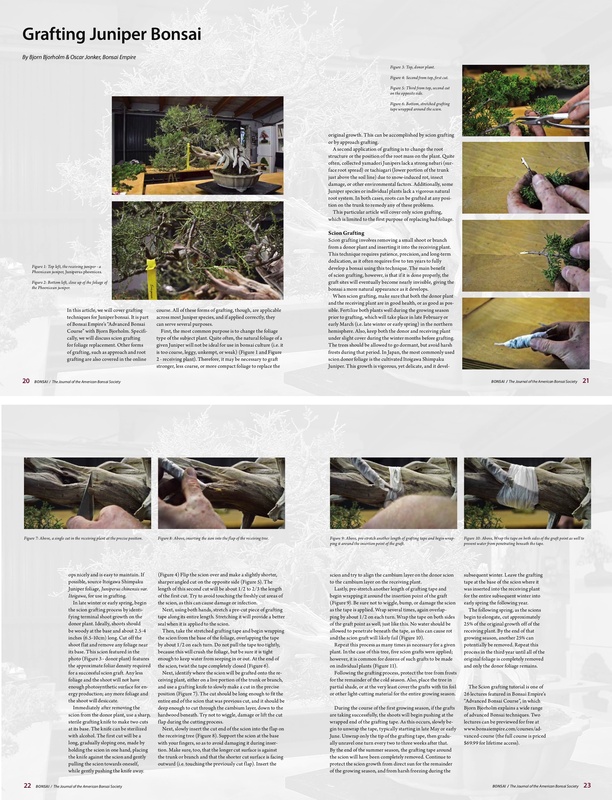 Topics include heavy bending, various grafting techniques, creating deadwood and advanced design principles - for trees in different stages of development. But this course is not exclusively about advanced techniques. 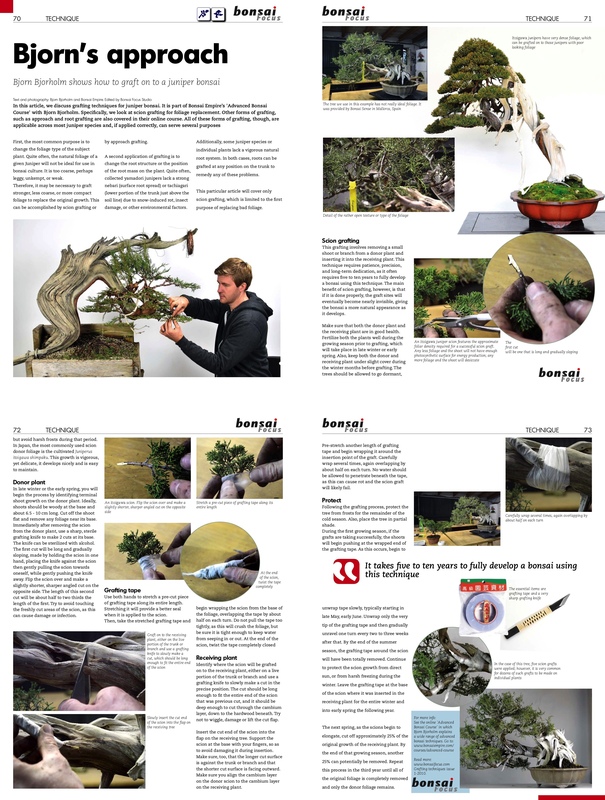 It also takes an unprecedented deep dive look into the philosophy and history of bonsai art, as well as aesthetic considerations that are crucial to improving your Bonsai skills. With almost 6 hours of lectures, this is the most extensive course we've ever created. For $69.99 you get unlimited access to all the lectures in the curriculum below, without any recurring fees or hidden costs. This course is concise, well executed and damn good value for money. Highlights were the design elements and Bjorn taking you step by step through his thought process. All the techniques were concisely explained. Great explanations as to the thought process behind how Bjorn was going to implement his design, through to prepping and then styling the tree. 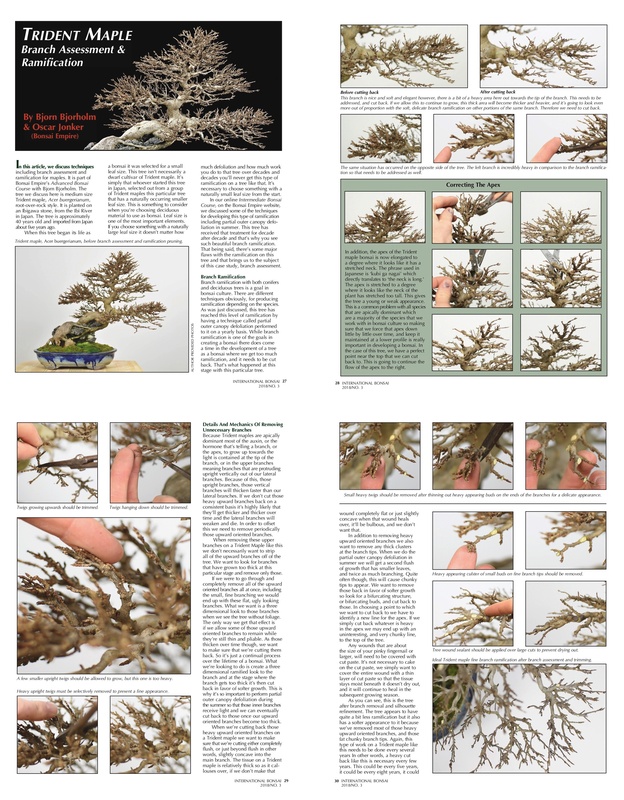 A very useful tool for bonsai enthusiasts, it's a continuation of an excellent series that is second only to a live teacher. 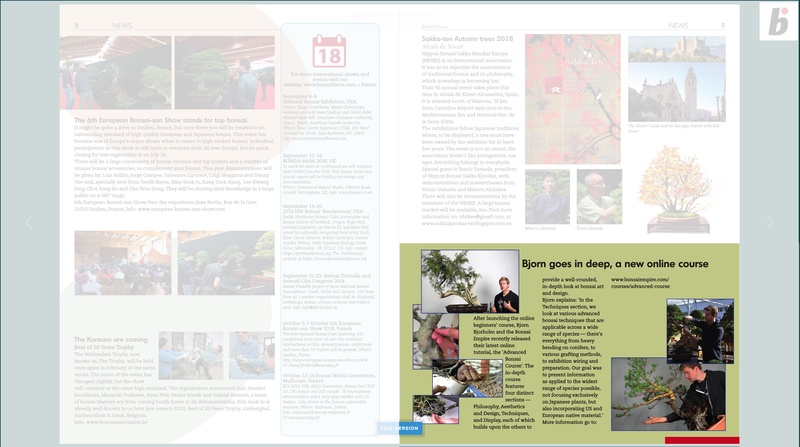 We guide you through the long-term impact of techniques on a wide variety of tree species. Topics include heavy bending, various grafting techniques, creating deadwood and advanced design principles. 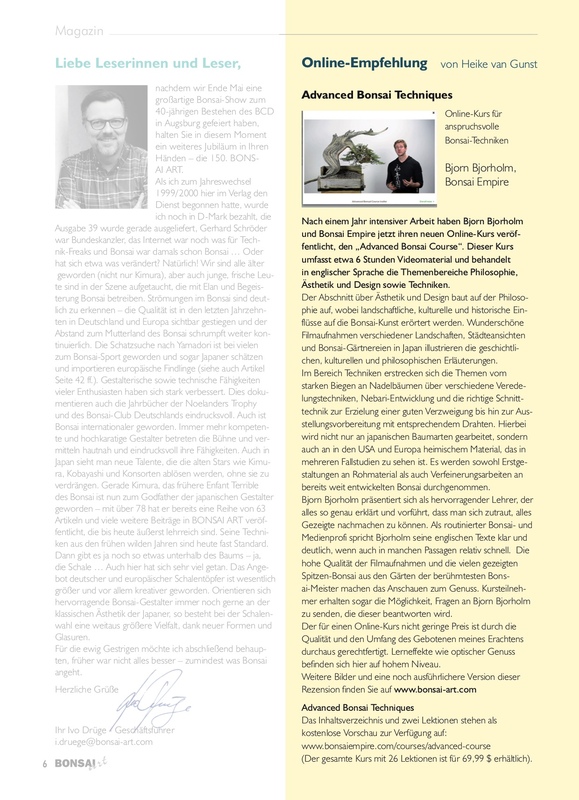 We also take an unprecedented deep dive look into the philosophy and history of bonsai art and its aesthetic considerations. This course continues where the "Bonsai Intermediate Course" ended; we assume you have a solid understanding of Bonsai techniques and are ready for a deep-dive.